When I received a phone call late last year, there was no mistaking the rich and resonant voice of my longtime friend Diana. She was calling me from Northern California to tell me she had been invited to make a special appearance at the Turner Classic Movie Film Festival in Los Angeles. She wanted to make sure we arranged some time to spend together while she was in town. I informed her that I would try to work her into my very busy (retirement) schedule, which in turn, triggered that deeply intoxicating laugh I had remembered so well through the years. My 94-year old friend, Diana Serra Cary, has seemingly lived three distinct lives. 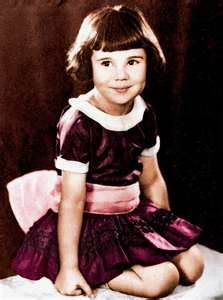 She was once a child movie star who earned millions of dollars in the 1920s. 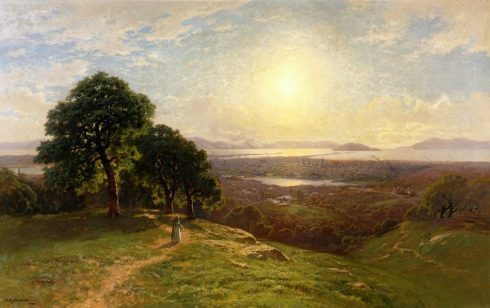 She later enjoyed a long career as a bookseller, and then while in her early sixties, launched a successful career as a writer and author. Diana began her life as a famous person, lived the second stage of her career in relative obscurity, and then in later years—became famous once again. I met her forty years ago when she was working in a Houston bookstore in the neighborhood where I lived. The owner of the store told me that Diana had once been a famous child star in the early days of Hollywood, but I noticed my friend rarely mentioned anything about that part of her life. After we had each moved to Southern California a few years later, we reconnected in San Diego where she was the buyer for a prominent college bookstore. She had just finished writing her second book, “Hollywood’s Children,” which was being released by the publishing house that I worked for at the time. It finally occurred to me that there just might have been some truth in that story about her childhood stardom. The Brief Years of Dazzling Fame..
Diana was born Peggy-Jean Montgomery in October of 1918, the second daughter of Marian and Jack Montgomery. Her father had been a working cowboy in several western states who had come to Hollywood as a stunt man hoping one day to become a famous Western star. Diana was discovered when she was 19 months old while visiting the Century Studios movie set with her mother, and began working the very next day for $75 a week. 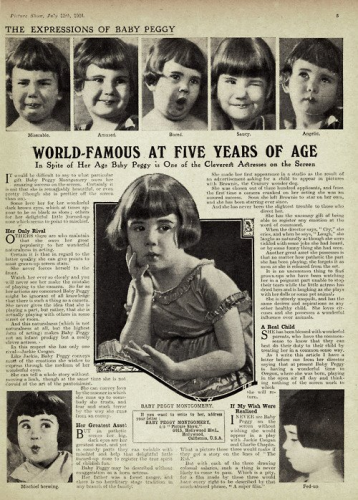 By 1924, she was so popular that virtually every little girl in America wanted a “Baby Peggy” doll. She was receiving more than a million fan letters a year and became the first Hollywood star whose image and fame was officially branded and merchandised. At the Democratic National Convention the same year, future President Franklin Delano Roosevelt stood with her at the podium and introduced her as the official mascot of the convention. 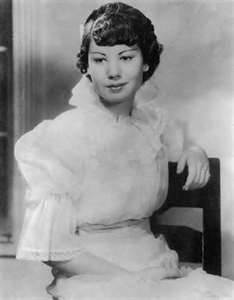 She had been the chief breadwinner for her family in those years as her parents lived a lavish Beverly Hills lifestyle. Her father had purchased one of the most expensive cars in the world—a Duesenberg—which cost more than $30,000. He had unwittingly assumed that his daughter’s career would last forever. The end of her Hollywood reign came rather swiftly and abruptly shortly after she turned six. Diana once told me rather jokingly: “When I lost my two front teeth, my career was essentially over.” However, she knew the real ending had more to do with her father’s disagreement with producer Sol Lesser about salary, and her contract was promptly cancelled. The entire family fortune she had earned was stolen by her father’s uncle who had been giving the responsibility for guardianship of the funds. In subsequent years, she saved the family once again by becoming a headlining vaudevillian star earning $3,000 a week. Her earning power helped rebuild a $640,000 family savings, only to be lost this time during the stock market crash of 1929. Diana later succeeded in getting smaller parts in feature films, but never regained the fame she had once attained as a child actor. The money she earned in those years was but a mere pittance compared to the incredible sums she had made as a child star. As I now consider the trials and tribulations of what my friend went through as a child and as a teenager, I find it somewhat remarkable that she has been so forgiving and generous toward those who had ruined her career, her fortune, and her emotional well being. She was unrepentantly used by her own parents as the source of their extravagant lifestyle and they hardly acknowledged and valued her childhood years. They spoke of “Baby Peggy” while she was sitting in the very same room and treated their youngest daughter as if she were a separate person from the young girl who earned the family’s living. Diana and her sister Louise ran away from home during their teenage years in an attempt to begin life with a fresh start and escape the film business and the tyranny of their father. In putting her past behind her, she created a new identity by selecting the name “Diana” because it sounded less like a chorus girl than “Peggy.” She also chose the name of Serra, in honor of the eighteenth century California priest, Father Junipero Serra. After a decade-long marriage to actor Gordon Ayers ended in divorce in 1948, Diana met a handsome artist and writer named Bob Cary, who had served as a “brother” in the Franciscan Order. They married in 1954 and spent some of their earliest years together in Mexico before their move to Houston and eventual trek to Southern California. They had their son Mark when Diana was in her early forties. After getting to know Bob while spending time in their San Diego home, I realized how much life had stabilized for my friend Diana after having endured the hardships of past years. Bob was a quiet, intelligent man who had a calming presence about him. He owned a quick wit and could make Diana laugh on cue. The chemistry between the two of them was palpable. After finishing a book promotional appearance on a late-night talk show in Hollywood in the late 1970s, we were offered the use of the NBC limousine for the rest of the evening. I had our driver hit many of the old spots Diana might have remembered from her early years there. We stopped first at the old Roosevelt Hotel and then dined at Musso & Frank’s Grill, which had opened in 1919. During our evening out, Diana, Bob, and I giggled like teenagers in the back seat of the limo and thoroughly reveled in her glorious return to her old town. Memories indeed flooded back to her that evening as we visited the old haunts of her past. In fact, when she introduced herself to the aging maitre d’ at Musso & Frank’s, he broke into tears at seeing his friend he had not seen since her childhood. As an adult in midlife, Diana had decided to reclaim those lost years of her Hollywood childhood by writing about her early life and attempting to recapture and understand that dazzling and bewildering time. Her journey in researching and writing about her life as the child star was alternately an illuminating and sometimes painful process. However, she discovered that her mission of uncovering the mysterious child, who had served as her alter ego, had ultimately turned out to be a genuinely therapeutic undertaking. She had at long last wrested her identity back from the cute and loveable little girl she had distantly watched on the big silver screen. In recent years, prints of long-lost films began to resurface from all over the world. The silver nitrate originals had long since disappeared and that segment of the silent film era had been presumed lost forever. As the films gradually re-emerged from as far away as Poland and Czechoslovakia, historians and archivists were able to restore them to their original condition by using the newest technologies available in the field. During the same period, there had been a significant resurgence of interest in the silent film era, which was then fanned by the advent of the Internet. Diana began to make more personal appearances during the 1990s as the “Baby Peggy” films were featured on the festival circuit. She suddenly found herself receiving the acknowledgment and acclaim that had escaped her for more than a half century. Diana sought little of the attendant publicity that has surrounded this recent groundswell of interest in her early career. She is still quite disbelieving about the incredible recognition coming her way. Enthusiastic crowds were now greeting her during her many speaking engagements, book signings, and festival appearances. I had begun to notice the resurgence in her popularity when I accompanied her on a September evening in 2005, when she was honored in front of the old Vista Theater in Hollywood where her movies had first opened decades earlier. 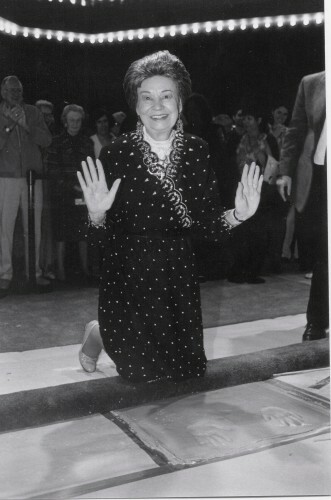 A large crowd gathered the night the city accorded her with the long-standing tradition of having her handprints permanently cast in the sidewalk along the boulevard. Diana Cary’s world was strangely and miraculously coming full circle as the publicity about her former career continued to swell. Diana’s crowning moment in recent times may have come last year when she appeared at the Museum of Modern Art in New York City for the premiere of a documentary on her life entitled “Baby Peggy, The Elephant in the Room.” The Turner Classic Movie television premiere followed in December, as longtime host, Robert Osborne, introduced the documentary and several of Diana’s early films. The survival of her childhood trauma was a long and arduous process, but today she radiates an optimism that completely belies her tumultuous background. She is known widely as a big-hearted and warm personality who receives strangers as if they were longtime friends. She has a genuinely humble nature and her modesty and kindness make others feel comfortable when they are in her presence. Perhaps those life lessons learned during a harrowing childhood have made her the wise “sage” I have observed during the course of our long friendship. Diana has offered judicious counsel through the years when I have faced my own personal difficulties, and she has always shown perception and wisdom in helping me navigate those stressful times. I may have missed the first half of my friend’s remarkable life, but I’m grateful for the opportunity of sharing her experiences during the second half of this extraordinary journey. As I’ve watched the recent events of Diana’s life unfold, I only wish that Bob Cary could have been here to witness the respect and admiration that has finally come her way. I can only imagine that this ongoing tribute to the love of his life would hardly have come as any great surprise to him—except perhaps that it took this long to finally happen. Bob Vickrey is a freelance writer whose columns frequently appear in Southwestern newspapers including the Houston Chronicle and Ft.Worth Star-Telegram. He is a member of the Board of Contributors for the Waco Tribune-Herald. He lives in Pacific Palisades, California.